These women initiated a call-out to other Shell spouses in 80 different countries, asking them to share their experiences. When this resulted in mail boxes bursting with material, the wives knew they had struck something special. It soon became clear that the material gathered was important social history and would be of interest to academic researchers. Therefore, this material needed to go beyond the Shell community. 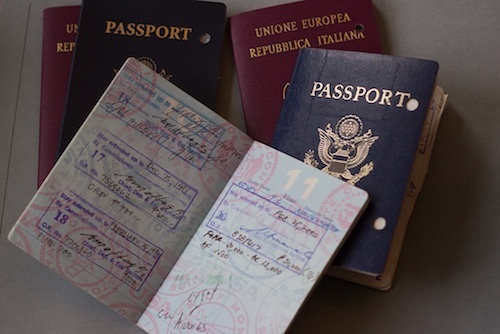 In 2008, the Expatriate Archive Centre (EAC) was founded in the Hague to preserve the fascinating stories of a diaspora of international men and women who have made temporary homes abroad. 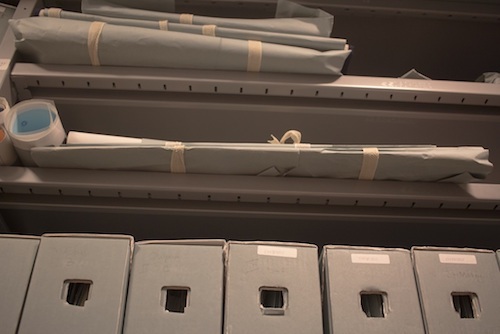 Indeed, some of the archive’s most interesting items have been chanced upon, their value unappreciated by their owner. Battered suitcases full of letters and pictures documenting an expat’s life in Venezuela, for example, were found on a bric-a-brac stall by an amateur historian. Some detective work followed and a surprise knock at the door saw the suitcase reunited with their elderly owner, who was astonished to hear of the archive’s interest in his story. Touched by the interest, he offered his unpublished memoirs, and these were added to AEC’s treasures. Much of the archive is devoted to written sources: diaries, letters and blogs. “It’s very stark how communication has changed,” says Sarah. “I feel like it’s much more evident in the expat community than in other places, because there’s always been this theme of long-distance communication for expats.” From letters taken by steamboat in the 1920s – “they would arrive in weeks, maybe months, maybe never” – to instantaneous forms of communication via social media. The archive is a repository of social history of interest to academics, researchers, social scientists, geographers and others. However, the purpose of this chronicle of Shell women whose tenacity and ingenuity made a life abroad achievable for their families is wider than that. Above all, the EAC demonstrates the value and validity of the expat experience and the important role that migrants have played in linking diverse communities, with contrasting cultures, often thousands of miles apart. “These people have been in some sense on the front lines,” explains Sarah, “figuring it out as they go along, and learning, and helping others… to experience the world in this more globalised way, and to be more connected.” Living abroad in unfamiliar surroundings comes with many challenges. It’s gratifying to have our complex lives recognised and documented. The Expatriate Archive Centre in the Hague is open to researchers Monday to Thursday, 10:00-16:00 on an appointment-only basis and offers regular information mornings for the general public. See the website for details. Saudade is the centre’s exciting new art project, featuring the work of 10 international artists, inspired by artefacts from the archives. The final pieces will be stored in the well-travelled suitcase of EAC founder Lady Judy Moody-Stuart, and the artistic process documented as part of a new book. The exhibition will open at the Twelve Twelve Gallery in the Hague from 11-15 April 2018 before touring the Netherlands. Visit the website to find out more.